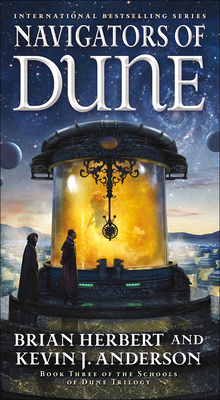 BRIAN HERBERT, the son of Frank Herbert, is the author of multiple New York Times bestsellers. In 2003, he published Dreamer of Dune, a moving biography of his father that was nominated for the Hugo Award. KEVIN J. ANDERSON has written dozens of national bestsellers, including The Saga of Seven Suns series, and has been nominated for the Hugo Award, Nebula Award, the Bram Stoker Award, and the SFX Readers' Choice Award. He also set the Guinness-certified world record for the largest single-author book signing.